We work with Magento almost every day at Peacock Carter, and can’t wait to start working with Magento 2 for our clients. Magento has ensured there is a stable, reliable, extensible ecommerce platform we can happily recommend to clients, knowing its proven for sites large and small, and a recent talk at the Mage Titans Magento conference in Manchester earlier this year provided an exciting insight in to what is coming in Magento 2. We’ve also published our slides on Introduction to Magento 2 from a talk we held at the Magento North East event in January 2016. Improved checkout: small changes to the checkout which should have a large impact: guest checkout by default (a common conversion barrier), and detection of customer accounts by email address. Overall, you can expect a better, faster ecommerce platform in Magento 2. As our list of Magento myths showed, many developers and store owners view Magento as a “slow” platform (inevitably to do with cheap hosting, or poor configuration), and this is something the Magento 2 team were keen to address further. As such, Magento 2 should deliver better use of your hosting budget, and an improved experience for your customers, too. An interesting change of focus between Magento Community and Magento Enterprise Editions for Magento version 2 is that performance is now considered a core issue shared between both versions of Magento. As such, you can expect the Full Page Cache feature to be available in Magento 2 Community Edition too: an additional layer of caching which enables even faster performance of your store for your customers. This line between the different versions of Magento has been redrawn at scalability: you can expect Enterprise Edition to focus on scalability issues and functionality, performance-wise. For store owners, the biggest change coming is the new Magento administration panel. The design of the administration looks much cleaner, and is also responsive, meaning you’ll be able to manage your store on mobile devices too from Magento 2 onwards. The products grid has also been heavily revisited for Magento 2, providing a much neater, and more customisable, experience for store owners. 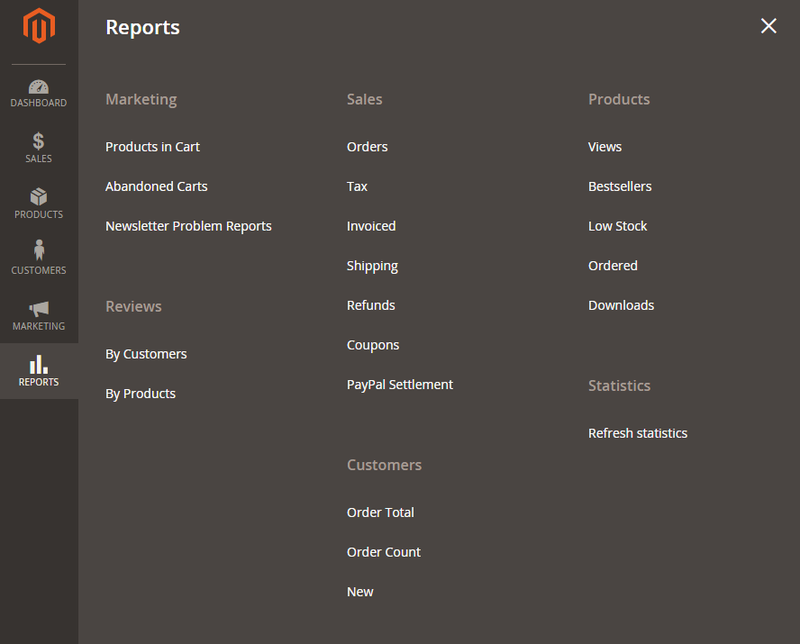 Enhanced reporting in Magento 2 is supported by the new product grids, which we feel are going to hugely simplify retailers’ experience in managing their product catalogue. Magento 2 will see quarterly feature releases for both Community and Enterprise Editions, so you can expect a rolling feature additions: even more incentive to update your Magento version! The Magento team will be posting a roadmap of features to expect too, so you can plan your store’s strategy around those. 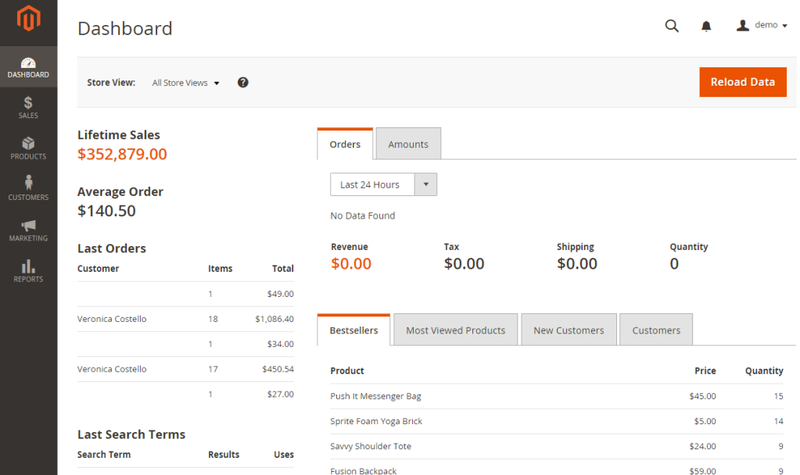 Another big change for Magento store owners and developers is with extensions: Magento 2 is reintroducing the Magento Connect marketplace after a huge makeover in design and processes. The Magento Connect marketplace provided a “one-stop” shop for Magento extensions to add additional functionality to your store, but has since fallen out of favour with Magento developers due to the number of poor quality extensions and lack of curation by Magento – something which Magento themselves are painfully aware of. Magento extensions will be vetted by Magento themselves, meaning a better all round experience for Magento developers and store owners using these extensions. Largely, fewer extensions will mean that upgrading Magento is easier in the future, ensuring your website is more easily maintainable. When can you start using Magento 2? The first Magento 2 stores in production are already underway, but for smaller retailers we recommend holding off until the core extensions for payment gateways and delivery options have been tried and tested on larger scale retailers. Once Magento 2 officially launches (expected in December 2015), Magento 1 versions will be supported for 3 years. During that time, Magento expects retailers to migrate to Magento 2, and we recommend leaving plenty of time to migrate. Essentially, the sooner you’re able to migrate after the initial “bedding-in” period of Magento 2, the better, as this will reduce any potential complications with data migration and sourcing extensions for your key functionality. If you would would like to discuss migrating to Magento 2, our Magento consultants are available on 0191 499 8456, or via hello@peacockcarter.com.